Andy Kang is Executive Director of Asian Americans Advancing Justice | Chicago. Andy joined Advancing Justice | Chicago in 2011 after serving as a staff attorney at the Legislative Reference Bureau, a non-partisan State agency that provides legal advice to the Illinois General Assembly regarding the drafting of legislation. Andy has practiced law in Chicago and Boston and was co-founder and President of Asian Americans and Pacific Islanders for Clark, a national grass-roots organization that mobilized support for former presidential candidate General Wesley Clark (Ret.). During his tenure with Advancing Justice | Chicago, Andy served as one of the lead negotiators for the Illinois TRUST Act and co-led the successful advocacy effort to bring Automatic Voter Registration to Illinois; both were signed into law in 2017. Andy also co-led successful efforts to strengthen Chicago’s Welcoming City Ordinance to prohibit all city employees, including Chicago police officers, from questioning an individual’s immigration status or threatening deportation against an individual or their family. In the area of protecting voting rights, Andy has actively served on the steering committee of the Just Democracy Illinois coalition and oversees Advancing Justice | Chicago’s non-partisan poll monitoring operation in Illinois, which has led to improving language assistance for voters in the Chinese American, South Asian American, and Korean American communities in Cook County. Andy is a thought leader in the area of language access, previously participating in the Language Access Advisory Council of the City of Chicago’s Office of New Americans, and working with the State of Illinois’ Language Access to Government Services Task Force. Andy currently is a board member of the Illinois Coalition for Immigrant and Refugee Rights and serves as co-chair of the National Asian Pacific American Bar Association’s immigration committee, and co-chair of Forefront’s policy committee. 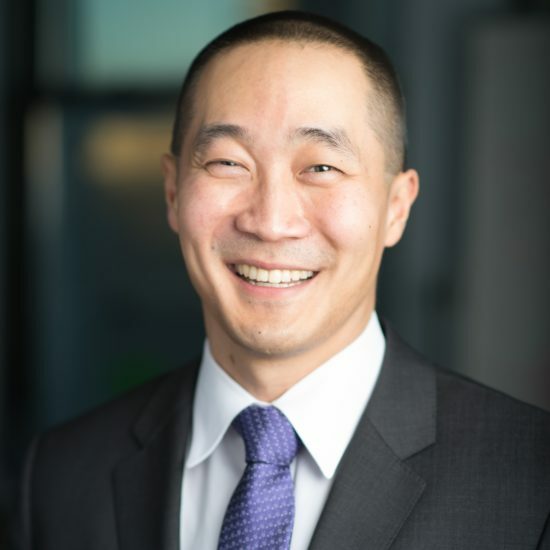 He is also an advisory board member of the Korean American Bar Association of Chicago, and a member of the Asian American advisory council of University of Illinois at Chicago. Andy was a 2018 Leadership Greater Chicago Fellow and has previously served on the City of Chicago’s Commission on Human Relations, and the Asian American Bar Association of Greater Chicago’s advisory board. Andy received his J.D. from Northwestern University School of Law, where he was Chair of the Diversity Coalition and an active member of the Asian Pacific American Law Students Association, and his B.A. in Political Science from the University of Illinois at Urbana-Champaign.